Elon Men’s Ruby team circa 1995. Photograph by Pendulum staff. 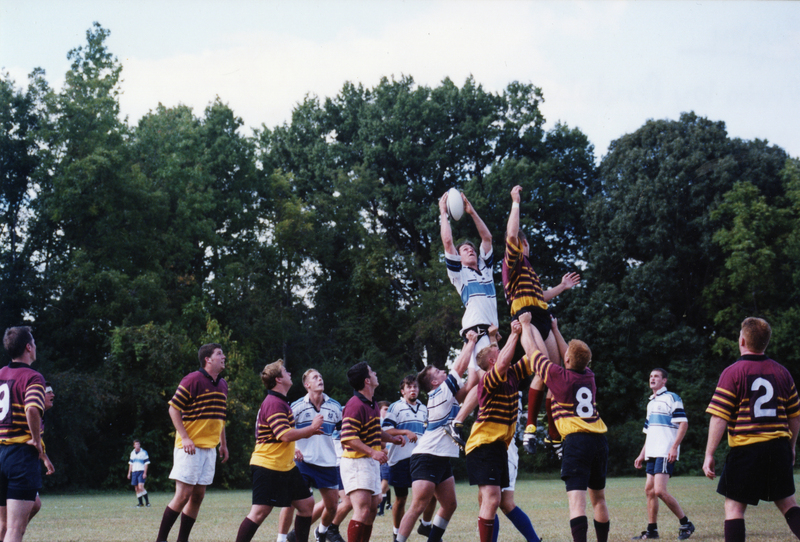 During Homecoming 2015 celebrations, Elon University’s men’s club rugby team is celebrating its 20th anniversary. However, the first mention of men’s rugby in the student-run newspaper, The Pendulum, came seven years before the team’s founding in 1995. In 1987, the men’s rugby team at Elon was a small organization under a parent team, the Dan-river rugby club based out of Danville, Virginia. Elon team members travelled to Virginia to practice with the Dan-river team and a few Elon students even played in several of Dan-river’s matches. 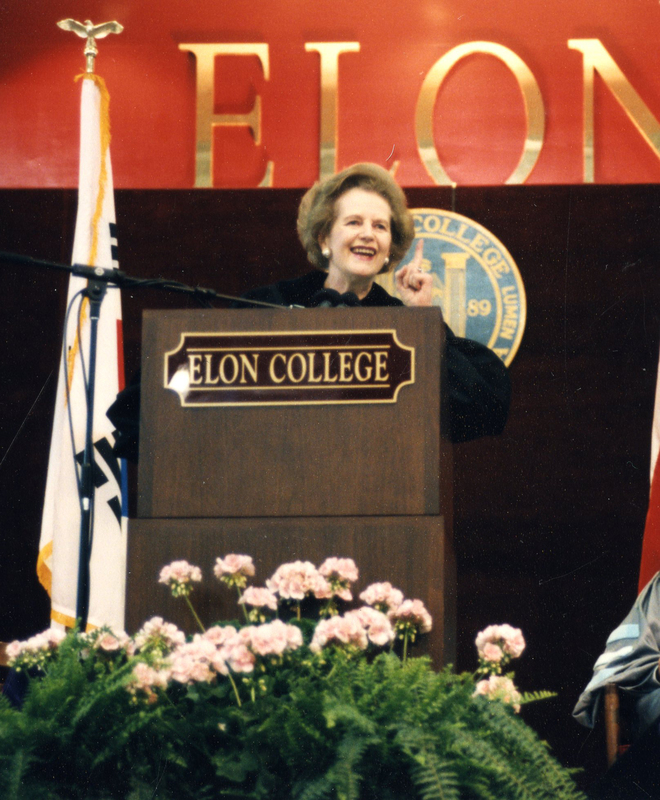 Unfortunately, the Elon rugby team could not get a $400 fee to cover spring dues in 1987 from the college; after this news, the men’s rugby team disappears from The Pendulum until 1995.Throughout its history, the men’s rugby team has consistently overcome a lack of experience with the sport, primarily because many students had no previous exposure to rugby before joining the team. Older players on the rugby team have taken charge of teaching the new players the basics since 1995. Despite this obstacle, the team has won their divisional league title in 1997 and the North Carolina state tournament consecutively in 2008 and 2009. Just as the men’s rugby team has grown in skill and notoriety over the years, its fan base has also grown considerably since the team’s inception. The state championship match in 2008 was attended by over 400 Elon fans.One of the most notable records of the men’s rugby team comes from a series of articles in The Pendulum by freshman rugby player Jay Voelker. He provided a personal look at the men’s rugby team through his weekly article about his experiences as a new player on the team. Running from September 13, 2001 to November 15, 2001, Voelker’s series detailed an entire season of men’s rugby. This snapshot of the team displayed the incredible team unity which coincides with references to rugby over and over again. For more information and to access the student newspaper online, check out http://www.digitalnc.org/newspapers/elon-university-student-newspaper/. Rugby team fights to exist. Elon, NC: The Pendulum. 2 December 1987. 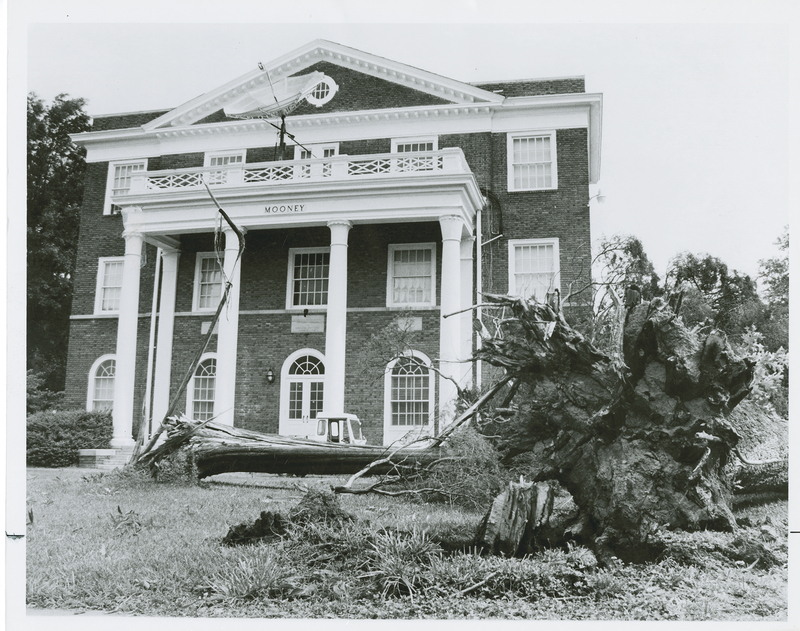 Belk Library Archives and Special Collections, Elon University, Elon, NC. Elon tackles rugby. Elon, NC: The Pendulum. 2 March 1995. 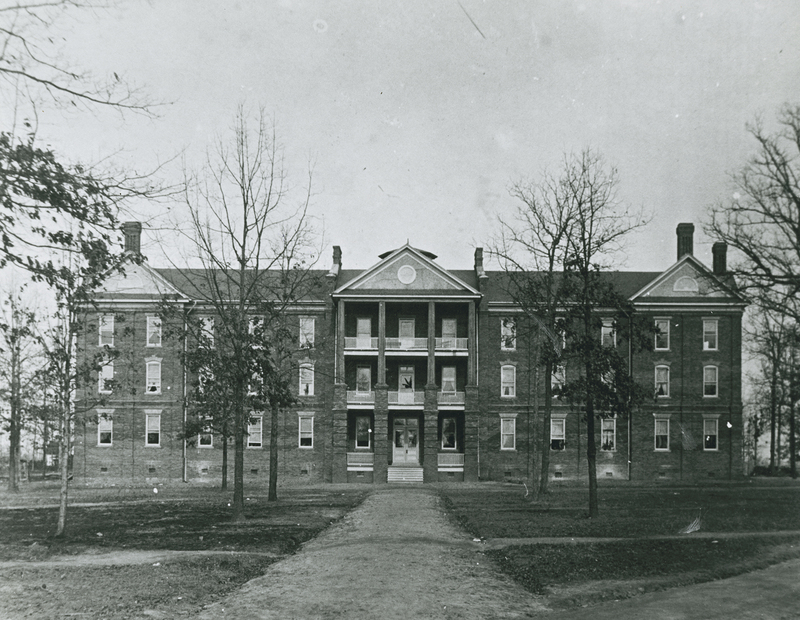 Belk Library Archives and Special Collections, Elon University, Elon, NC. Men’s rugby team, late 1990s. Photographs, EUA028. 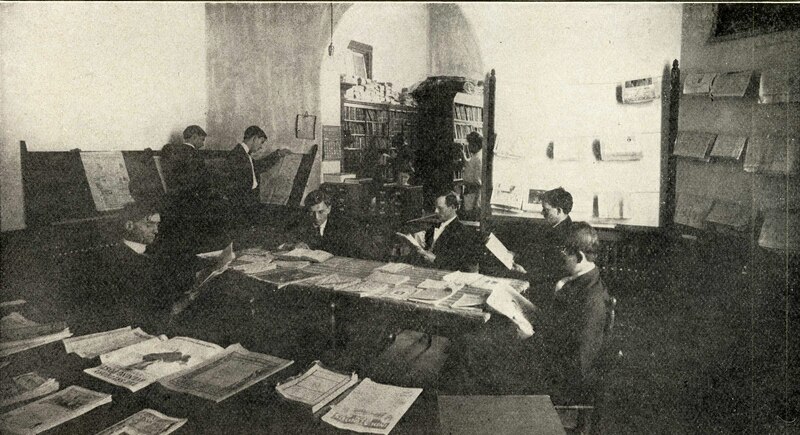 Belk Library Archives and Special Collections, Elon University, Elon, NC. Men’s Rugby wins league; falls one short of Sweet 16. Elon, NC: The Pendulum. 8 April 1999. Belk Library Archives and Special Collections, Elon University, Elon, NC. The rugby diaries: team limps into tourney. Elon, NC: The Pendulum. 15 November 2001. Belk Library Archives and Special Collections, Elon University, Elon, NC. Successful memories spur on rugby team. Elon, NC: The Pendulum. 24 September 2008. 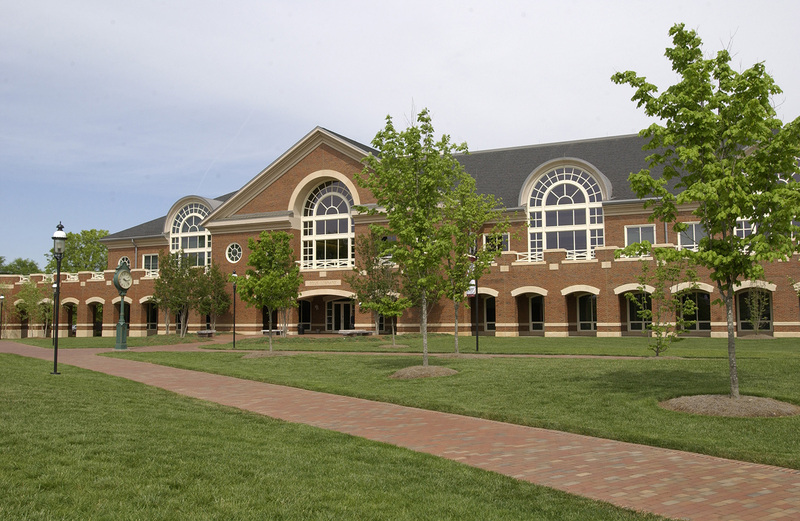 Belk Library Archives and Special Collections, Elon University, Elon, NC.